This installation in a box contains twenty-seven cards one can arrange at their own discretion to recreate Katie Loesel’s Captain’s Log. The original Captain’s Log is a 7-foot installation of monoprints (oil-based intaglio inks on Johannot paper) that was completed in 2007. The abstracted landscapes map a journey through an imaginary utopia of land, sky, and water. In addition to reproductions of the prints on cards, the box contains instructions for recreating the installation on their own wall, bulletin board, rear car window, bathroom stall door, or other appropriate space. Maps take us from the known to the unknown. They are created through a combination of actually being in a place, the memory of a place, and the stories passed along about a place. 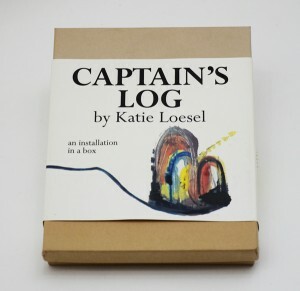 Katie Loesel’s Captain’s Log is the record of the artist’s journey through an imaginary and personal utopia. It is the map of that place. 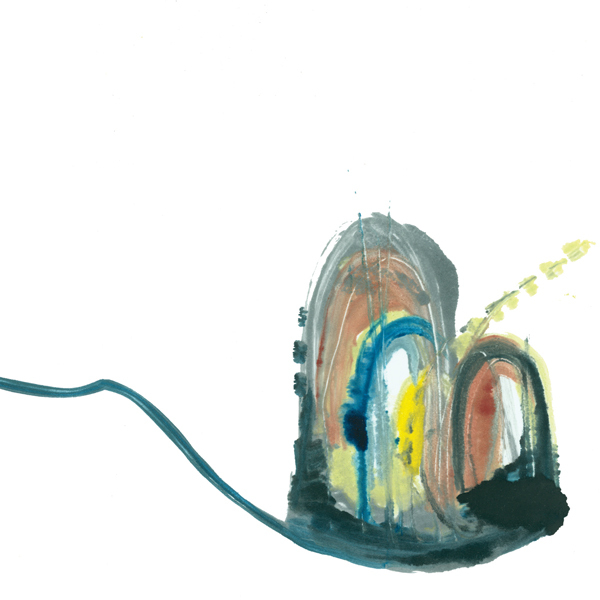 Through the depiction of abstracted landscapes, the artist gives us markers of place as clues to the journey. The meeting of land, sky, and water create a wandering and floating sensation, a journey across horizons. The images forge a path and record fixed positions, but the journey is uncertain and the space is unknown. The presence and location of a destination are unsure, and that is exactly why the journey must continue–because of the possibilities of the unknown. Captain’s Log is the cartography of creativity and a nifty multiple that brings installation art into your space.